If you aim to encourage others to follow you, it's worth studying the techniques of successful historical leaders. One common feature of great leaders is their ability to engage with their teams by involving them in a story - or narrative. 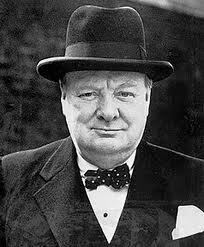 From Henry V to Winston Churchill, great wartime leaders are remembered for their rousing stories. They invited their followers to join them in making history, and pointed out how future generations would retell their exploits. 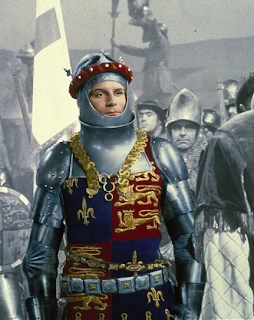 While few leaders face the French knights at Agincourt, or Hitler's armies across the Channel, every leader can apply the storytelling principles that Henry and Churchill brilliantly demonstrate. As a young Royal Marine I learned this lesson and I hope you'll find it useful too. As one of the greatest leaders in history or literature, Shakespeare's Henry V is a fine source of leadership inspiration. In this speech to rally his troops for battle, he tells them that they will tell their sons of their exploits at Agincourt for years to come. Henry's aim is to bind his men to him. He has already offered to send home anyone who doesn't have the stomach for the fight ahead, and even to pay their salaries before they go. He is not relying on discipline and threats but on aspiration to encourage his men to join him in battle. He even highlights that if anyone does leave then the glory of the remaining soldiers will only increase - he creates a sense of exclusivity among this band of brothers. This lesson lies at the heart of leadership. Henry is plotting out the benefits of featuring in his story, and it works. His positive reinforcement of the roles of his lieutenants Warwick, Talbot, Salisbury and Gloucester (all of whom get a name-check in his speech) binds each of them to their posts through the struggle ahead. Critically, Henry focuses on the prize - the positive result, rather than the struggles that lie between his audience and their status as storybook heroes. He doesn't even mention the possibility of defeat, even though it's very real. I think many people would argue that it was. Churchill and Henry V were wartime leaders operating in extreme conditions, but storytelling still has an important role to play in leadership, even when the setting is not quite so dramatic. In 1997 I was put in charge of a group of 60 Royal Marine recruits, and challenged to convert them from civilians to Commandos in 9 months. To succeed, I would need to ensure that as many of them as possible stayed in my troop, without resigning, being injured, or failing to pick up new skills at the required rate. I knew that they were in for a tough time, and also that many would doubt their desire and ability to complete their training. Most of all, I knew that these doubts would be most damaging when the recruits were out of the reach of me and the rest of the training team. So I thought about how to ensure that every time they had a break and the opportunity to return to the familiar comforts of home and family they still wanted to return to the challenges and discomfort of the Commando Training Centre. I realised that when they headed home, their friends would be asking them what they had been doing with the Royal Marines. And I knew that if their answer was good enough they would enjoy telling the story. So my challenge was to ensure that whenever my recruits went home, I could guarantee that they had the best story in the pub. Every week I was careful to ensure that there was at least one episode that they could turn into a great story, and I noticed that they enjoyed rehearsing - the more dramatic, outlandish (and often uncomfortable) the episode the better. As the troop prepared to depart for 2 weeks of Easter leave, I played my best hand - knowing that this was the most likely time for the comforts of home to tempt my men to stay away. As they waited for the train, I asked them if anyone knew what an "SSN" is. At first no-one volunteered an answer, but one recruit hesitantly guessed "Is it a nuclear submarine?". I congratulated him on his answer and explained that on their return from leave the troop would embark on an exercise in and around Scotland which would include a reconnaissance phase involving covert insertion and extraction by SSN. This wasn't standard for recruit training, but I'd managed to get my troop on a special exercise with extra resources. Everyone returned from Easter leave keen to collect another great story. The measurable result of this was that for the first phase of training, 736 Troop had the highest retention rate among recruit troops for 5 years. We lost no-one at all for the first 10 weeks, speeding the recruits towards realising their Commando ambitions and saving the taxpayer a small fortune too. So if you are seeking ways to motivate a team, ensure that every member has the best story in the pub. As leader your role is to provide your team with the basis of the story and encourage them to take ownership of it and retell it in their own words. If your stories align with your values and objectives, your team will be loyal, dedicated and effective. I really like the concept of "best story in the pub". Living in the US, I guess I'll have to convert pub to bar or maybe talk about the best story at the table.